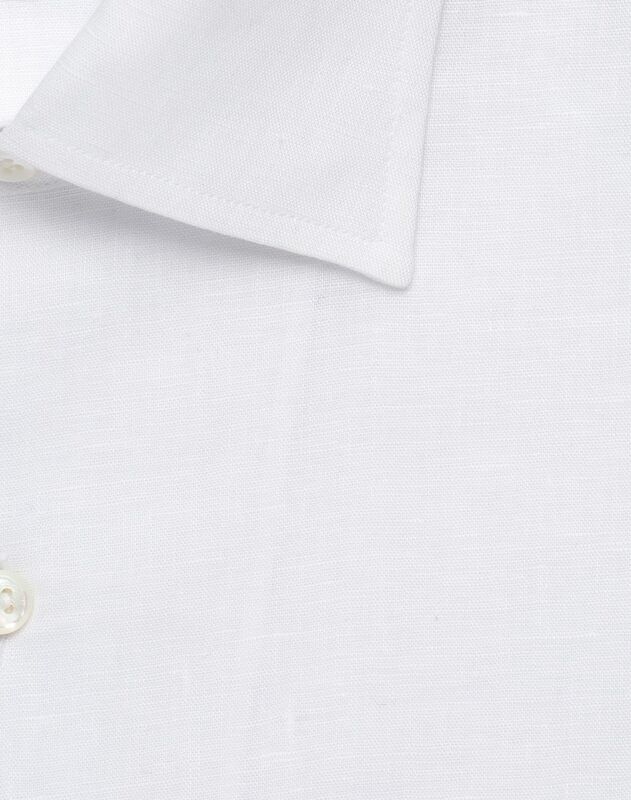 White linen Ventiquattro shirt featuring a refined construction on the front and shoulders and a soft collar. 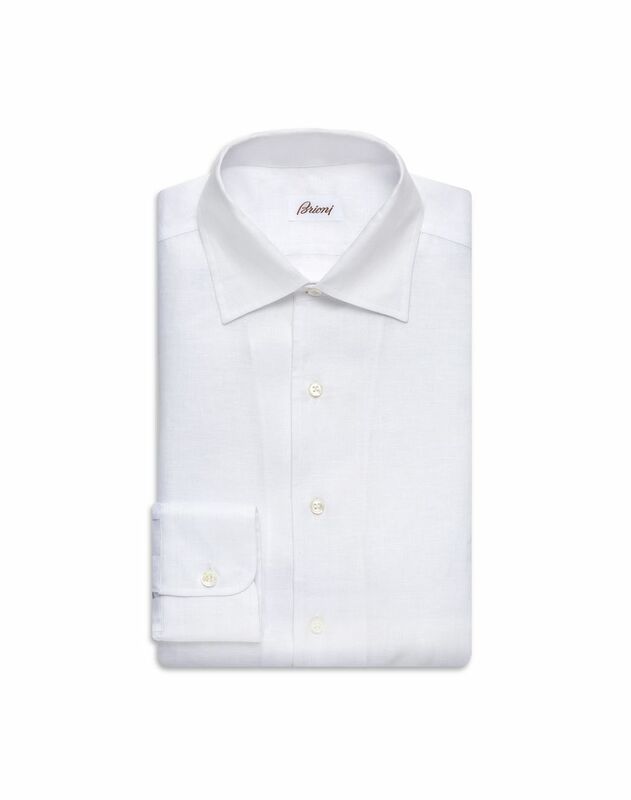 Can be worn either buttoned or unbuttoned for a more relaxed fit. 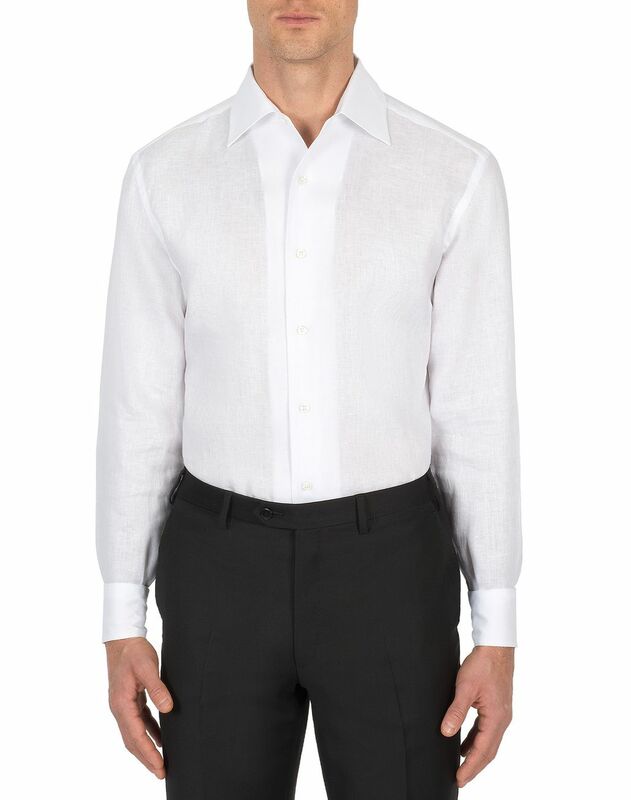 Ventiquattro is a collection of garments made with an exclusive anti-crease fabric which ensures a polished look all day long, making them ideal for travel.